Looking for the best place to hire a van in Norwich? Who vans are best value for money? It's Advance Vehicle Rental. If you are looking for van hire in Norwich, give Advance Vehicle rental a call. 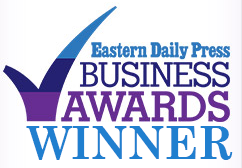 We are an award-winning vehicle hire company based just off Hall Road, Norwich, on the White Lodge Business Park. We have a large selection of brand new 18 plate vans just ready for you to hire either short or long-term. If you’re moving house, or helping someone else move, or if you have rubbish you need to get to the recycling centre, we can help. If you need a van for business use we can help too, just get I touch today and we’ll give you a quote. We also have large panel vans, medium vans, and small vans, so call us today on 01603 660 670 and let us know what you need. Our most popular vans for moving house are the Lutons because they can carry so much freight. If you need a Luton Van we have the regular tail-lift models and we also have Jumbo Low Loader models which are even bigger than their tail-lift cousins. With a massive 4220mm load length they can fit in pretty much anything, and unlike many vans the low floor makes them very easy to walk in and off.